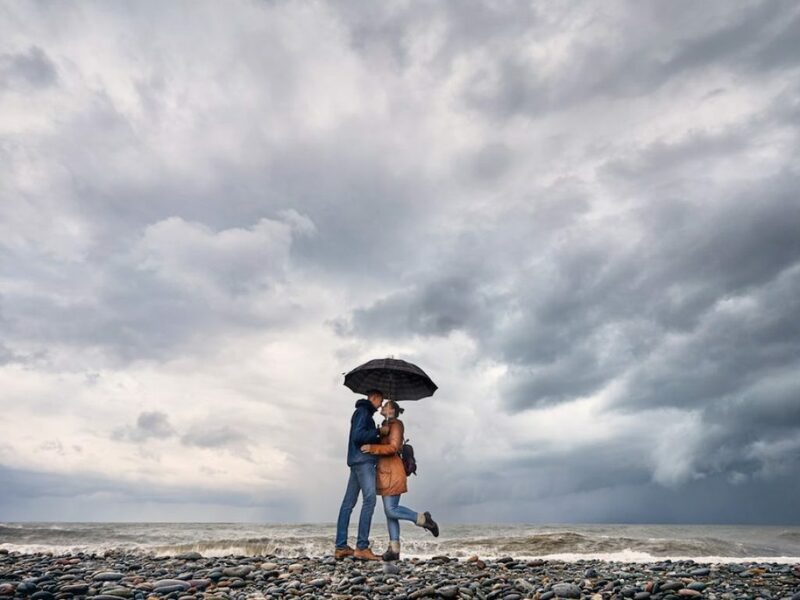 Even locals will most likely shake their heads when you talk about going to the beach during the rainy season, or as it is called in Asia, the monsoon season. But beyond the obvious advantage of going at the off-peak season and all its benefits (cheaper rates, fewer crowds), the region is still a charm and adventures can still be found at the beach in this time of the year. Summer in the tropics turns the fields brown due to the lack of rain and moisture. On the other hand, once the monsoon begins, a slow transformation happens, turning everything green and alive. The turquoise waters and the green fields will more than make up for a few gray clouds. If you are coming from cooler countries, being on the beach during the hot and humid summer months can be stuffy and too draining. Add the crowds of people in the beach, and you would find yourself hiding in your air-conditioned room instead. But during the monsoon season, the weather becomes much cooler and the stifling heat goes away. While in the day, the wind may be rougher than what you expect, but the sea’s breeze is truly refreshing and wonderful while walking along the beach. During the rainy season, there are fewer people on the beaches. This means no crowds and no overworked staff. You can expect better prices, better service, and simply, a better time for you as a guest. Moreover, you can enjoy lower rates and have the chance to get upgrades to the best rooms in the hotel. The peace and quiet are also great for newlyweds, families, and even retired people who are not after wild beach parties. While there may be days when the rain prevents you from venturing out, there are also sunnier days that will be great for playing on the beach. You would not have to worry as much about sunburns when the sun is not shining brightly every day. This is better for those with sensitive skin. However, you might have to swap it for mosquito spray as the rainy days also mean more insects around. While the seaside views and the beach are already sights to behold, imagine watching the dramatic cumulus clouds starting to conquer the sky. It is also impressive to see the lightning lighting up the horizon before the loud grumbling. The monsoon is definitely not for everyone but those who love to appreciate nature and its wonders, this is a sight they should never miss. While certain sea activities might be off the table such as snorkelling, on the other hand, surfers love the monsoon season because of the rougher waves they can expect. Simply put, when the seas are rougher, the more exciting it can be to ride the waves. Seaside holidays are wonderful the whole year round so long as you are not afraid of the rain. The sea views will be difficult and you cannot enjoy the sun for a while. But if that does not scare you away, you can then experience and see the beach in a whole different way altogether.